Femme Fatale Records: We here at Femme Fatale Records love classic films. Just click the links below to learn more about the upcoming MONSTER BASH and our friends at CREEPY CLASSICS! We here at Femme Fatale Records love classic films. Just click the links below to learn more about the upcoming MONSTER BASH and our friends at CREEPY CLASSICS! 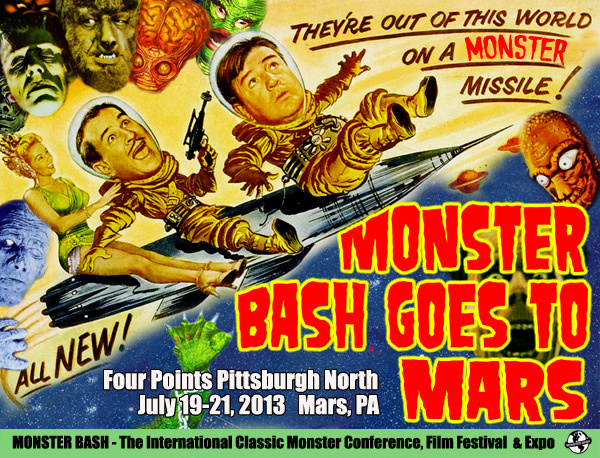 I am really looking forward to the Monster Bash this year! FEMME FATALE RECORDS HAS TEAMED-UP WITH PENNART! MORE PICS FROM THE LATEST ONE EYED CATS SHOW!